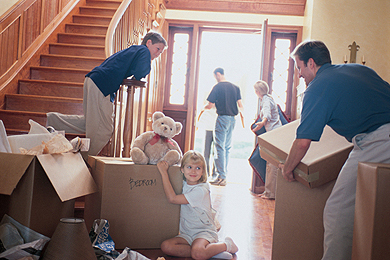 Corporate Clients and their relocating employees benefit from HUFF Realty Relocation’s Move Management Services. We help transferees quickly settle into their new location which enables them to focus on their new positions while we handle the management of the shipment of their household goods. HUFF offers quality and cost-effective service through some of the nation’s leading van lines and their agents, both domestically and internationally. Our carriers manage moves to ensure all policy requirements, contractual obligations, and performance specifications are met. Our contracts are structured to enable our clients to receive competitive discounts while maintaining quality service.